Eleanor Keers and Faye Chatterton of Itchenor SC won the International 420 Inland Championship held at Rutland Water SC over the weekend. Racing was only possible on the Sunday, but this provided excellent strong wind sailing conditions for the 26 competitors. 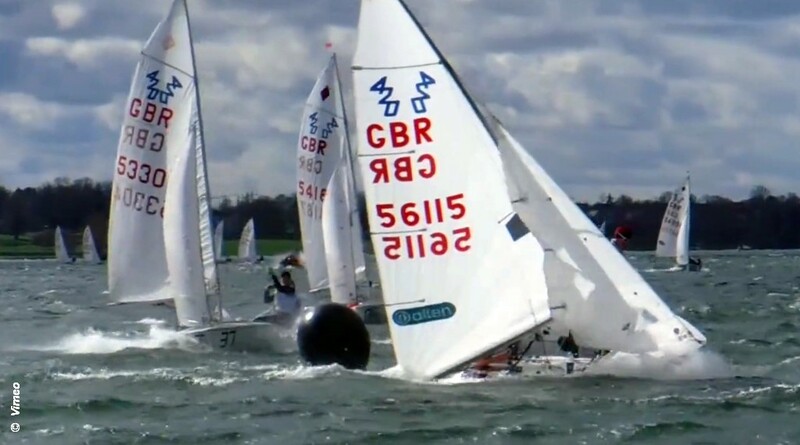 Keers and Chatterton finished tied on eight points with Megan Ferguson and Bettine Harris of Frensham Pond SC, taking the title on count-back with a win in the final race. In third place were Rhys Lewis and Drew Wright of Cardiff Bay YC, with Jamie Cook and Will Martin in fourth and Calum Cook and Calum Bell in fifth place. Jack Lewis and Fraser Hemmings set the early pace with a win ahead of Ferguson and Harris, with Keers and Chatterton in third place. Lewis and Wright then hit the front with wins in race 2 and 3, before the steady scoring of Keers and Chatterton was completed with a final race win, clinching overall victory.